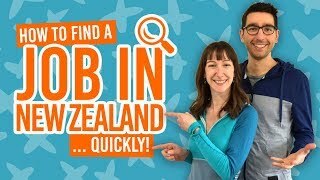 Because we know that some backpackers are on tight schedule after working for “too long” in New Zealand or simply stopping in New Zealand on their way to another country, we’ve decided to take a closer look at how to utilise a short amount of time on the South Island as efficiently as possible while having a freakin’ awesome time. Efficiency was our main focus when making the itinerary below but we also looked at an itinerary that will also be enjoyable, location and time-wise. There is no point just driving all day and not taking the time to enjoy what is probably one of the wildest parts of the world. So grab your mates and jump onboard with us. In this article, we are taking you to what we consider the best week spent on the South Island of New Zealand. Plan your arrival and departure to/from the South Island’s largest city, Christchurch. It’s convenient, easy to get out of, and offers great places for you to visit if you have an extra time. Most importantly, Christchurch is a great port of arrival as it has affordable fares for both national and international arrivals. From Christchurch head to the impressive Arthur’s Pass, regularly voted as one of the most scenic drives in the world and for good reason! You will literally want to stop every 15 minutes to try to capture the scale of the towering mountains in a single shot. Not doable… trust us. Even the kea (New Zealand alpine parrots), who are not afraid to come close, will mock you for trying. When leaving Arthur’s Pass, head south on the wild West Coast of the South Island passing through the “Greenstone Capital of New Zealand”, Hokitika. Hokitika is a great little town perfect for a bit of souvenir shopping with heaps of jade shops and carving studios where you can carve your own jade necklace – a significant stone to the Maori people of New Zealand and is a great treasure to take home with you. If you feel like exploring, head to the great Hokitika Gorge. It’s a short but gorgeous walk above a milky blue river nestled in a smooth limestone gorge. 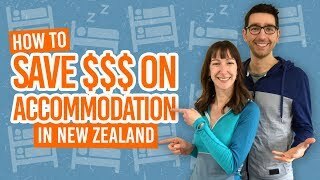 What’s more you will find plenty of cheap accommodation in Hokitika or continue to Franz Josef Glacier and have more time for some adventures tomorrow. We recommend heading to Akaroa from Christchurch. The French-themed town is ideal for seeing not only the world’s smallest penguins but the world’s smallest species of dolphin! From Hokitika, it’s a 1h30min drive to New Zealand’s most accessible glacier. You will have heaps of options to make the most of the giant river of ice carving a stunning glacial valley, from seeing the Franz Josef Glacier from the highest skydive in the Southern Hemisphere to a breathtaking heli-hike onto the glacier itself. For something a little less insane, try a peaceful kayaking trip on the most reflective lake in the country or a hike to the terminal face of the glacier. Whatever you want your adventure to be, Franz Josef Glacier is sure to be one of the highlights of your trip. Check out 7 Ways to Take on New Zealand’s Glaciers. The fun doesn’t stop in evening, as there’s always something going on in Franz Josef. Have a few drinks with your travel mates in a bar like Monsoon Bar offering all-you-can-eat pizza nights to relaxing in the late-closing Glacier Hot Pools. From Franz Josef take the stunning Haast Pass road to Wanaka and its famous #ThatWanakaTree. The drive takes you through the heart of the World Heritage Area, Mt Aspiring National Park, one of the most pristine and protected places in the world. Don’t forget to stop by Thunder Creek Falls and the Blue Pools of Haast for a short leg-stretcher to a token tourist picture not to be missed. In Wanaka, once more, the choice of adventure is yours: kayak or stand-up paddle board to the photographer’s dream #ThatWanakaTree, skydive above the Southern Alps, hike Roy’s Peak, mountain bike around the lake, climb waterfalls, give a shot a canyoning, ski or snowboard in winter and so much more. The town has more to offer than even residents have time for. For those that will need to unwind, there are plenty of bars, cafes and awesome restaurants, icluding a couple of micro-breweries so you can even say that you partied local. It’s now time to hit the “Adventure Capital of the World”. No trip on the South Island is complete without spending a substantial amount of time in Queenstown. We recommend spending at least two nights here. On your way from Wanaka to Queenstown you will be driving through the golden and winding Crown Range, a drive so memorable that it a regular location for worldwide car advertisers. Take an hour to stop by the small town of Arrowtown where you will step back in time to the early New Zealand gold rush era. Some still find gold in the nearby Shotover River using the gold pans for hire in the village. There is so much to do in Queenstown that it would be pretty hard to list it all here. From epic white water rafting to truly frightening bungy jumps, from thrilling jet boat rides to insane pub crawling, from oversized burger-eating to the fun luge-riding: give yourself a few days and spare some budget to really make the most of your time in Queenstown. Dedicate one of your days to an unmissable trip in Milford Sound. Buses from Queensown make their way to the “8th Wonder of the World” daily back with many trips offering a cruise combo under NZ$200. It might be a long day, but after you have ventured into the rainforests of Fiordland National Park and emerged at the inky black waters of Milford Sound holding sheer vertical mountains, you will not want this day to end! For you last overnight stop, undoubtedly we have picked Lake Tekapo. On your way from Queenstown you will follow the Southern Alps passing New Zealand’s highest peak Aoraki Mt Cook. If you like what you see, you can get a closer look from Lake Tekapo by taking a scenic flight over the Southern Alps. Yet another incredibly scenic drive from Queenstown heading north will bring you to what is probably New Zealand’s most photographed lake. In front of you: the turquoise waters of Lake Tekapo. Around you: fields of colourful lupin flowers. Have a quick visit to the Church of the Good Sheppard with the impressive backdrop of Lake Tekapo and the Southern Alps. How much more epic can a picture be?! Have a soak in the Tekapo Springs but don’t even think about going to bed too early as Lake Tekapo happens to be in the heart of an International Dark Sky Reserve. The minimal amount of light pollution at night makes Lake Tekapo a premium spot in the world for stargazing. Despite the fact that we tried to keep the drive time in this itinerary to the minimum, there is still a lot of kilometres covered in seven days. We’ve looked around and found Wild Kiwi Southern Voyager tour which almost perfectly matches the itinerary above, plus includes accommodation, transport and food. You get to enjoy all of the above without having to do much else that taking it all in. 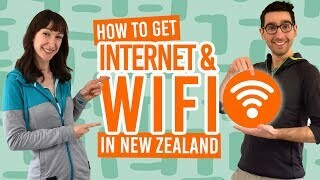 The bus driver is also a tour guide, so will share heaps of local knowledge area that you just can’t get when driving yourself around the South Island in seven days. The driver guide can also help you book activities and take care of all the nitty gritty. Most importantly, you’ll be on the road with a bunch of like-minded people to share your adventure with. Their Southern Voyager costs a little over a thousand New Zealand dollars, which makes it great value for money over a car or campervan rental cost + gas + food + accommodation.